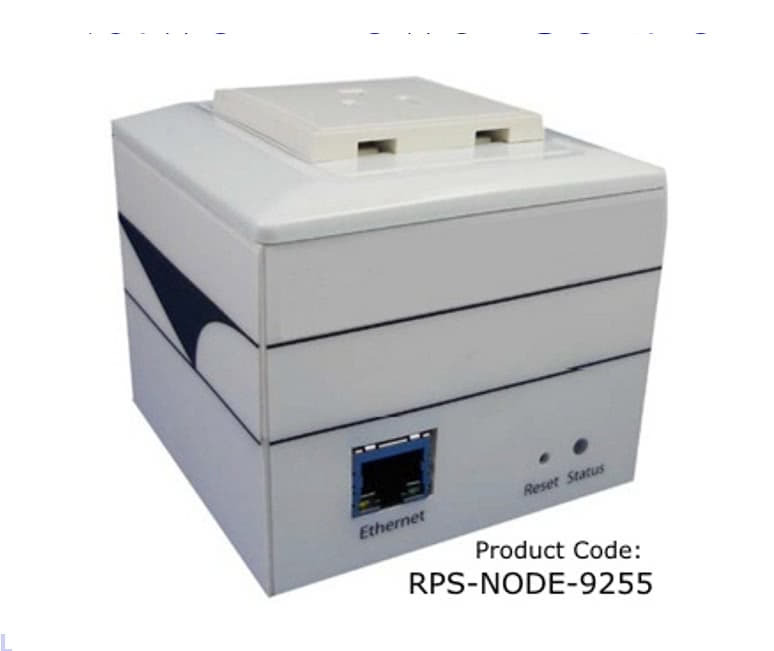 The RPS-NODE-9255 is a industrial grade single port remote power switch that allows you to control the power status of connected devices over the internet or your local network. The unit is small in size, 3.3″ x 2.8″ x 3.3″ ( 8.5 x 7 x 8.5 cm) but very big on features. It will monitor your network devices and automatically reboot upon failure, or allow you to manually access its internal web server to control the power. Built in scheduling allows for timed power on / off configuration. The RPS-NODE-9255 has been tested for reliabilty to a MTBF of +200,000 hrs. It is available in 5 standard global socket types for worldwide usage. Product may arrive in white or black case. Individual Nodes can be placed in multiple locations on your network. These units are small, lightweight with powerful monitoring and power control options. Built In AUTO-PING will automatically reboot connected devices based on your criteria. Scheduling allows for timed power on / off. View Comparsion of RPS-NODE-9255 Single Port with RPS-ERP-II Four Port Tier 1, Tier 2 and PLUS Software Features. 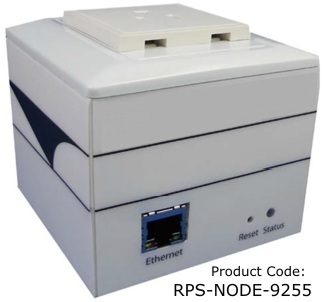 The RPS-NODE-9255 allows you to restore functionality to any electrical device on a ethernet network by using a simple user-friendly Web-based GUI and an Internet browser. It can reboot, or power ON or OFF, any PC or device, running any operating system. Access from anywhere on the Internet via your web browser using the built-in web server. 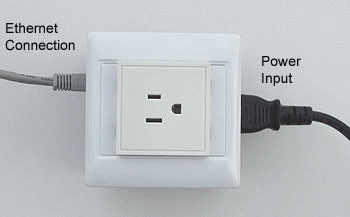 One Electrical Port on the top of the unit allows for individual power on/off control. 110-120V US, 8 Amps Maximum, 220V Euro Sockets available in 4 different types. 1 Year Warranty For Shipments to USA/Canada. Inrush Current Relay Design for Extra Protection. Can control T5 fluorescent lighting to 240 Watts. Command Line HTTP and Telnet control of individual power sockets. Programmers can control the remote power switch within your custom designed software. The port can be individually delayed through the web interface to prevent surges. Allows you to PING a network device and upon failure initiate a reboot. Remote access from the internet allows reboot from any location saving costs associated with a technician going to the site. If you are looking for an out-of-band solution to your remote power control needs, have a look at our Telephone Remote Power Control Devices, the RPS II Remote Power Switch or RPS IV Voice Prompted 2 Port Power Switch. Need more ports? Read about our 4 port web accessible RPS-ERP II unit. If you need a remote power control device that combines web and telephone reboot into one unit, please see our RPS-SPL4 4 Port and 8 Port RPS Device.